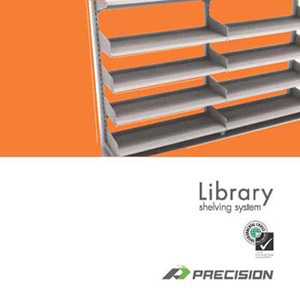 Precision Library Shelving is the ideal system for academic, corporate, public or legal libraries and general office applications. Our library shelving system has been designed to adapt to both static and mobile storage applications. With an extensive range of accessories available, you can be confident we�ll be able to accommodate a wide variety ofmedia formats and specific storage needs. Precision Library Shelving has the ability to easily expand, be reconfigured and relocated to easily adapt to future storage needs.